Want a stack of ADHD reWired Postcards to share with your clients or support groups? Click here to get them. RSVP For Our Next Registration Events. Don't wait! We're filling up! 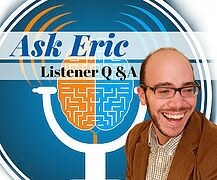 "Each week, Eric helped me evaluate my skills, clarify my goals, and establish a plan to achieve them." "...One of the strongest things Eric brings to the experience: a very clear sense that we’re all going through this together." I think you’re going to love this week’s episode. It’s something I’ve wanted to do for a while. On this episode, you will hear a mastermind session we recently did with my alumni admin team. The idea of a mastermind was introduced by the book Think and Grow Rich. The idea is that a group of people convene, and someone experiencing a challenge sits in the hot seat. Instead of just trying to solve their problem on their own, the group becomes their mastermind. On this episode, you’re going to hear Marisol talk about her struggle with diet and exercise. Marisol shares her history with weight loss and healthy eating and talks about where she is in this area of her life now. Several participants ask clarifying questions, which help us explore other areas of this topic. By the end of the conversation, Marisol has a clear vision of what she needs to do and how she’s going to do it. [06:31] – Marisol explains what her current struggle is. She says that she’s experienced a weight issue for about half of her life. She is looking for guidance on food choices and exercise. [09:04] – Marisol says she can stick with an exercise routine for a few weeks or a few months. [11:37] – Marisol explains herself as a obliger with a little bit of rebellion. [12:38] – When asked about her sleep, Marisol describes her sleep patterns. [13:22] – Evening snacking tends to be a trouble-spot for Marisol. [14:42] – Marisol shares what food tempts her the most, and when/why it tempts her. [17:03] – After struggling with moderation, Marisol realized this strategy does not work for her. [19:41] – Marisol explains why she wants to make these changes in her life. [22:17] – Since she already feels like she’s not home enough, the idea of going to the gym seems tough. [26:32] – Marisol describes her evening routine. [28:34] – After recently doing a taekwondo session with her daughter, she enjoyed it quite a bit. [33:53] – A participant encourages Marisol to consider a gym with childcare services. [35:13] – Tena references the book, Better Than Before, and she explains how we struggle with the back and forth. [37:52] – Marisol says that she has not discussed diet and body image with her children. She explains why this is the case. I share how I discuss this with my son. [39:57] – Nathalie comments that Marisol has some factors working in her favor. [42:15] – Another participant talks about the book, It’s Not About the Broccoli. [45:48] – Erika shares the difficulty women have in the areas of body image. [48:01] – Without thinking about the outcome, Marisol shares some of her steps in the process. [53:36] – I ask Marisol how she will remember this in the future. [58:05] – Marisol shares which commitments she wants to make in this area of her life. [1:01:12] – Marisol talks about the experience of being on the hot seat. 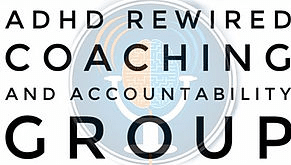 The 10th season of the ADHD reWired Coaching and Accountability group is now full. If you would like to join the waitlist go to CoachingReWired.com. The 11th season of the group starts on January 8th. When I have details on early registration, I will let you know! Patreon allows listeners like you to support content creators like me. With a monthly contribution, you can get access to different levels of perks. Learn more at http://patreon.com/adhdrewired. 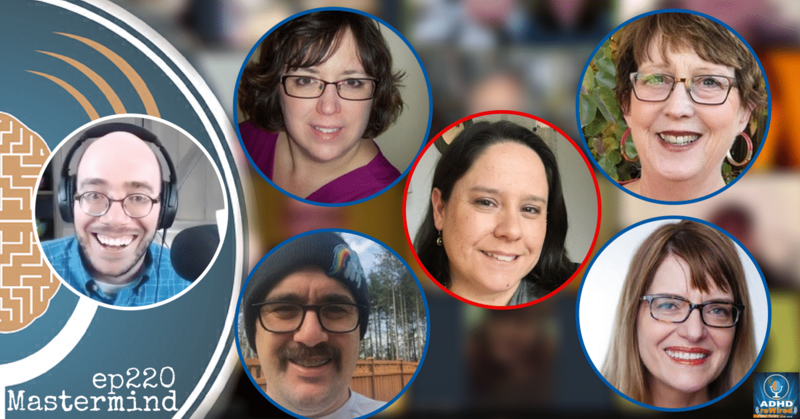 Get your ADHD questions answered live! 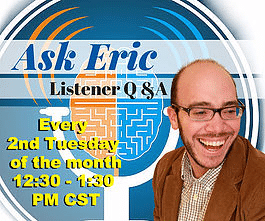 These Q&A sessions take place on the 2nd Tuesday of every month at 12:30 PM. Go to https://erictivers.com/events. Hey! What about you? Do you have a story? Are you a coach? 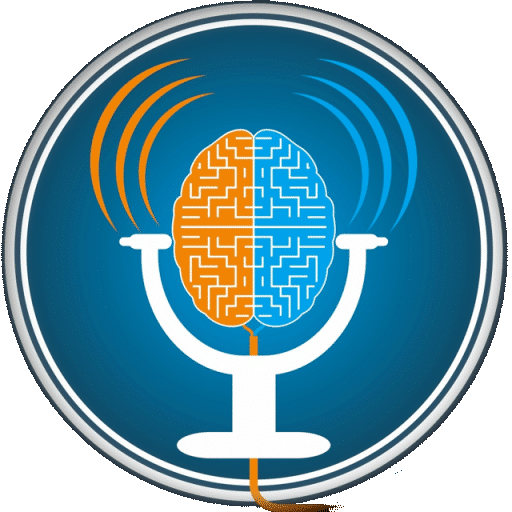 Are you an ADHD Clinician? If you answered yes to any of these questions and you’d like to be a guest, schedule a pre-interview call here. I've got some great tools and strategies I'd love to share with you. I'll also share with you new podcast episodes with a summary of the episode.